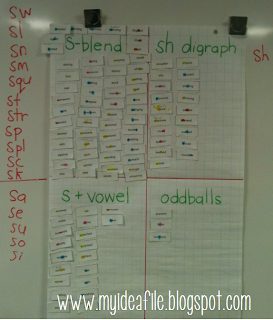 This week we worked with s-blends. 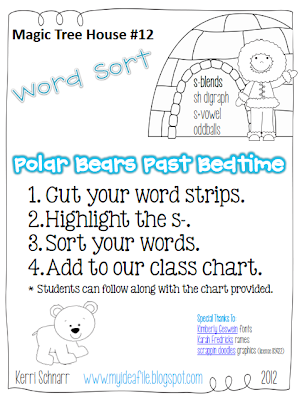 We also read Polar Bears Past Bedtime by Mary Pope Osborne (#12 in the Magic Tree House series). Who knew it was a perfect book for sorting all kinds of s- words! 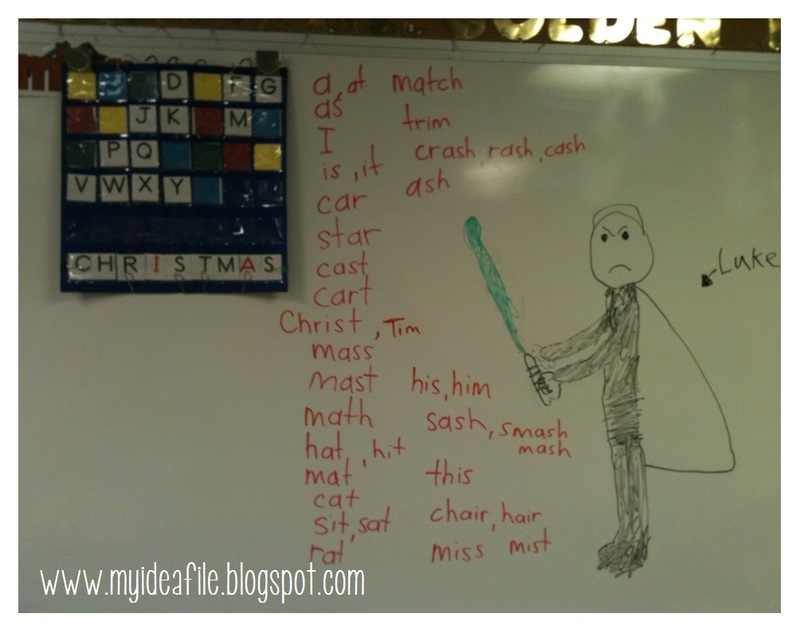 Here is a word sort freebie for the book. I may have gone a bit overboard with the amount of words from the book! But I figure I will add the strips to our word work bin and the kids can continue to sort the words until they are pros. Check out our big class sort. 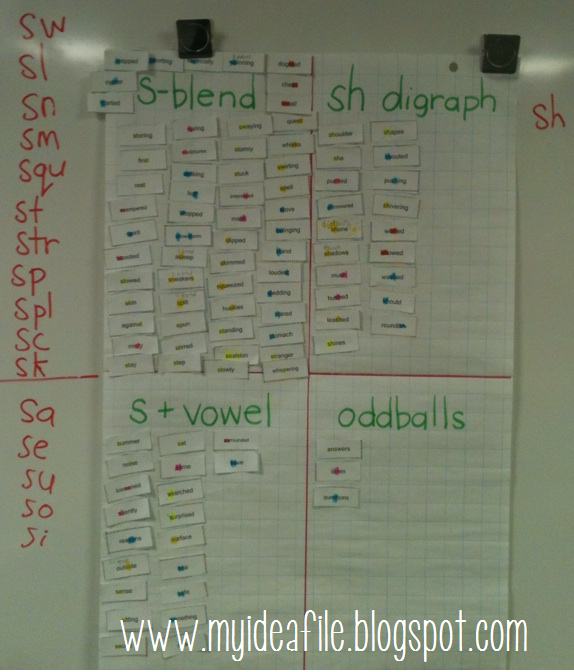 They even figured out the oddballs (words that looked like s-blends but didn't sound like s-blends: 2 letters = 2 sounds and 3 letters = 3 sounds). 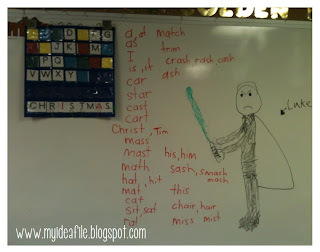 On another note, this week's hangman illustrator got creative!